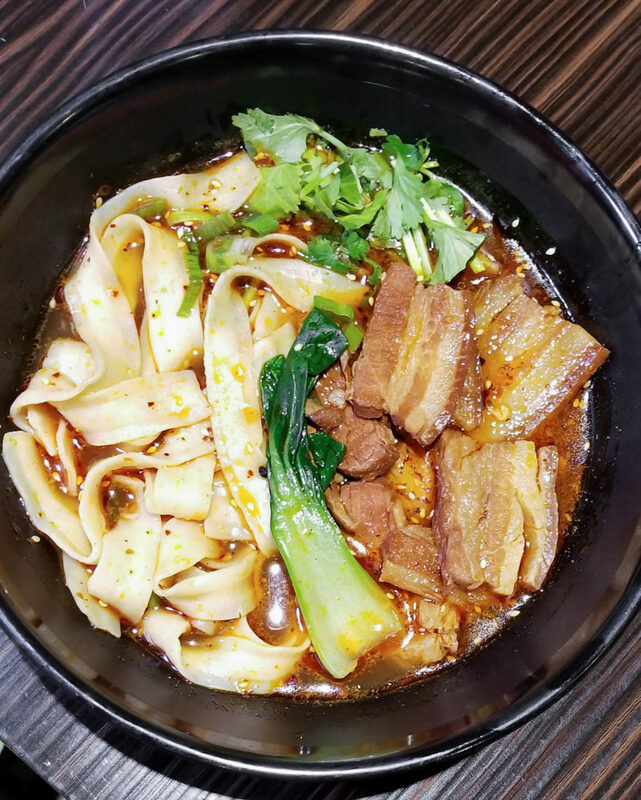 The quest for great noodles never seems to end in NYC, but when a really great new joint lands in your lap, that quest seems to get shoved to the side while you explore everything the new place has to offer. 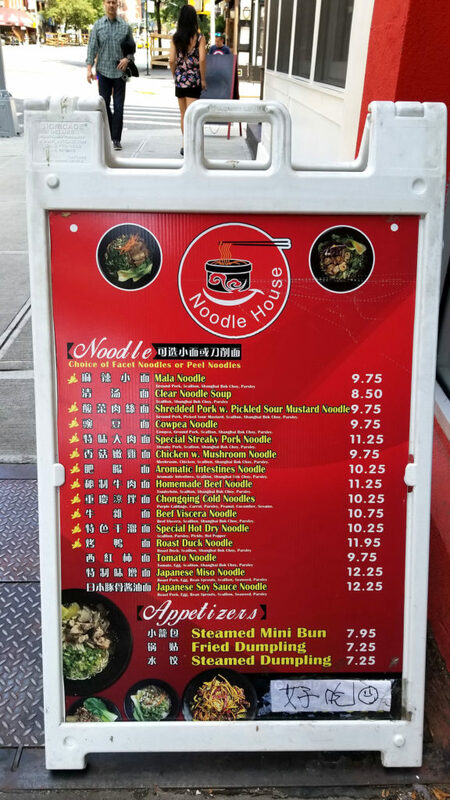 My wife and I were walking around one Sunday when we stumbled upon a brand new restaurant with a sign out front displaying an impressive and tasty selection of noodle dishes. Chong Qing Xiao Mian is a mouth full for a westerner with no tonal linguistic skills, so I like the fact that they just call themselves “Noodle House” for short. I snapped that menu photo and made a mental note that we wanted to try it (we had just eaten). A week later we went back and loved it. 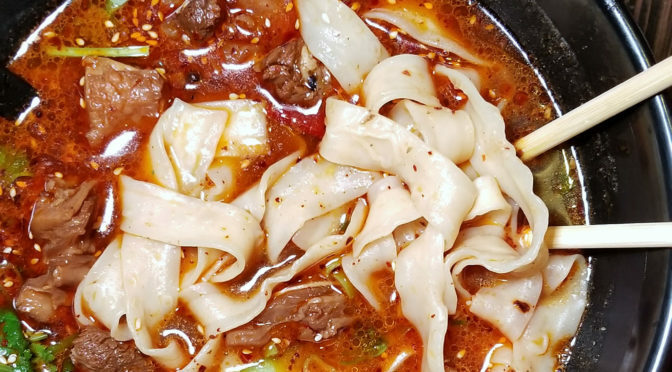 I ordered the homemade beef noodles, and I chose the “peel” style noodle, which is thicker and wider than “facet,” which is more like spaghetti. 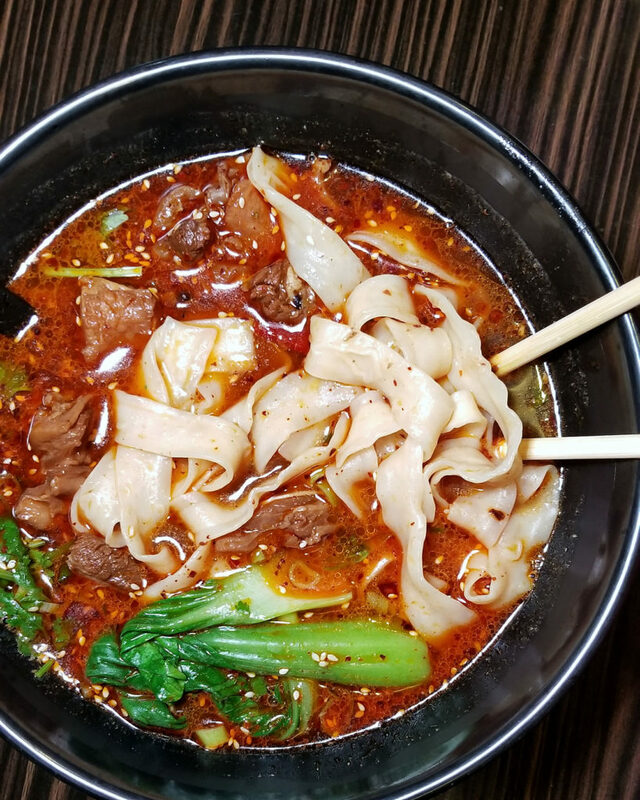 Most dishes here are soups, not dry noodles. Generally I like dry better, but here the soups are king. 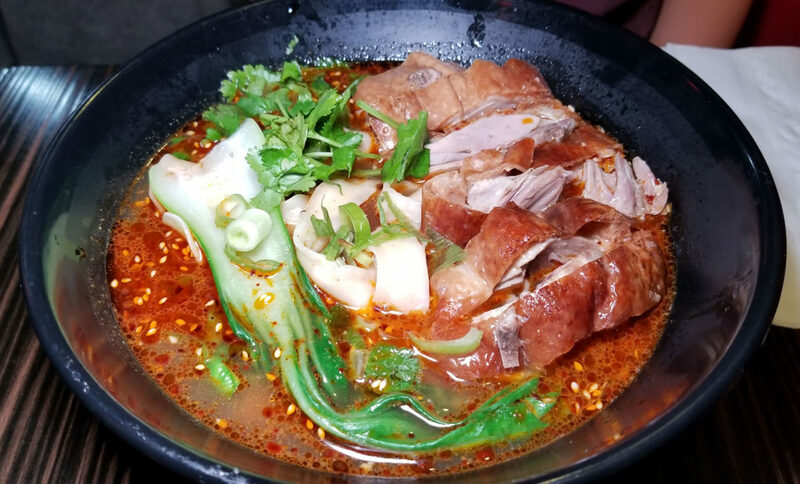 The broth is much better than Tasty Hand Pulled Noodles or Xian Famous. It’s earthy, and muddy with rich spices that lend just the right amount of tingly heat to the dishes. Yet it isn’t dotted with thick, coarse, dry flakes of pepper or numbing peppercorns. It’s strained just enough. 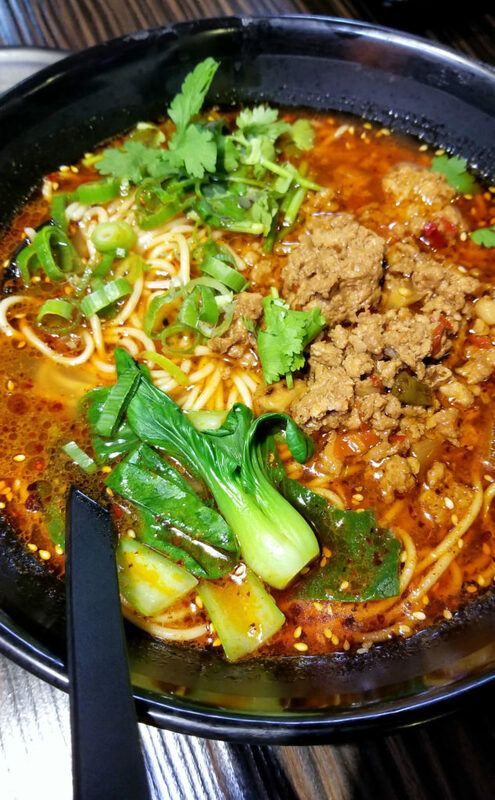 The noodle quality is fantastic as well, easily rivaling Xian Famous. The only drawback for me was the protein itself; the beef. The menu said tenderloin, but it was more like oxtail. That’s fine, but there wasn’t a lot of it, and much of it was the gelatinous or tendon style of meat. Not what I expected when ordering tenderloin. A few other minor hits to mention: there is no parsley (as the menu says); it’s all cilantro, and a few other things you’ll want to ask about to make sure you know what you’re getting. I chalk these things up to translation errors. No big deal. 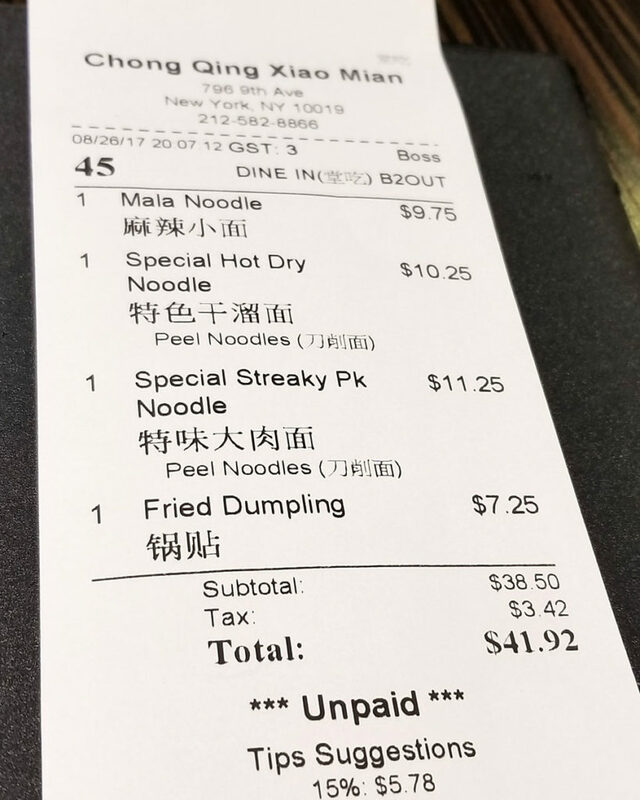 My wife got the duck noodles. These were great too, but you need to be patient to pick through the chopped duck and work your way around the small bones. 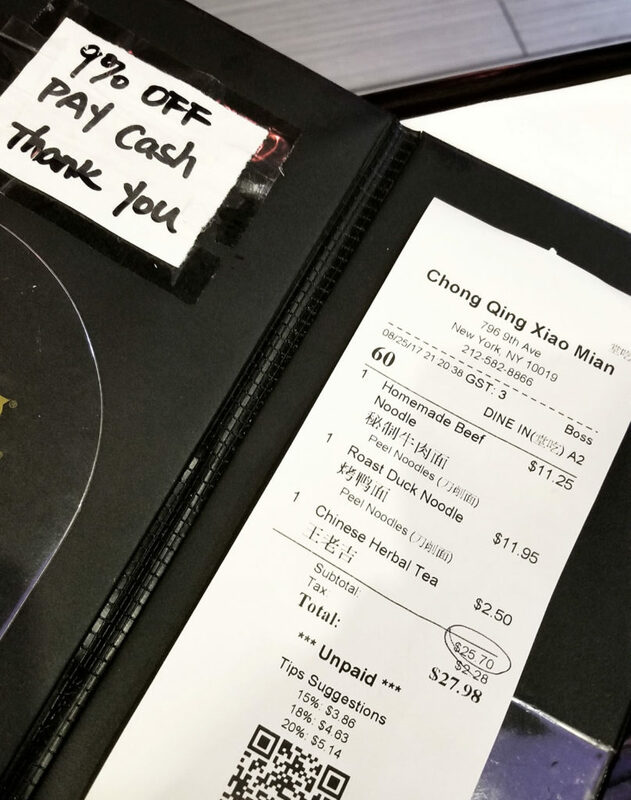 Another cool thing about this place: 9% discount if you pay in cash. 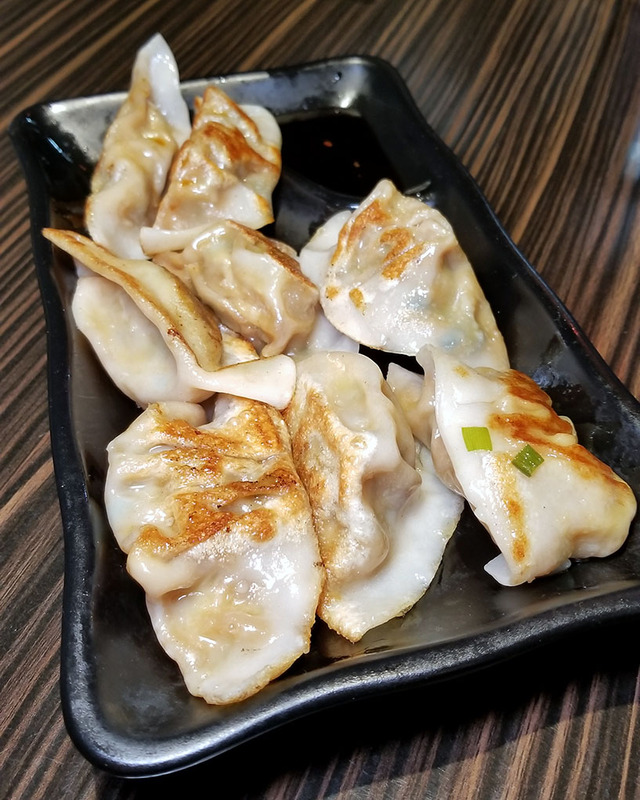 On a second trip, we started with some fried dumplings. These were excellent. I think the way to go here is with one of these three dishes. 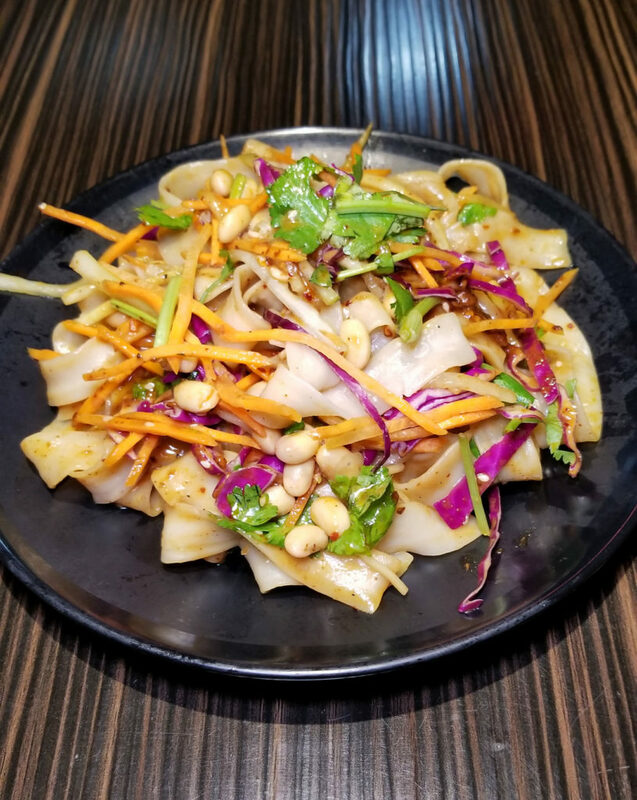 The veggie dry noodles were absolutely delicious. Even without a meat element I was satisfied and full. The other two bowls were absolutely amazing, and it would be tough to choose a favorite between them. 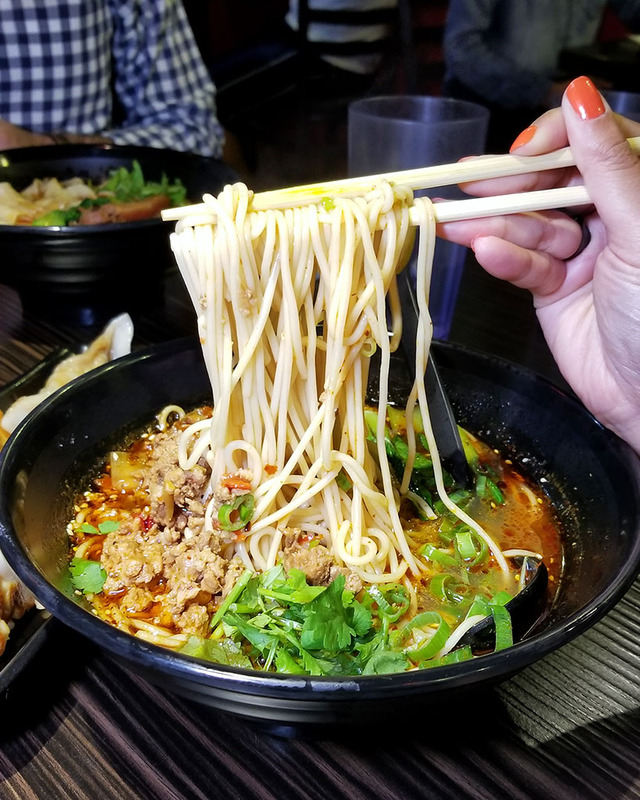 I can’t wait to go back for round three of noodles and try some of the other side and app items, like the seasoned egg, duck wing and steamed buns. I highly recommend that you go here before it gets too well known and overcrowded with lines out the door. It WILL happen.